In the steppes (grassland) between the Pannonian Lowlands in Hungary (also called Pannonian Plain or Carpathian Basin) and the Yellow Sea (China) there was existent an abundance of fruitful soil for growing cattle. Nomadic shepherds started to move together and line up, and they soon saw hemselves engaged in a perpetual fight for pastures. Due to periods of drought, they were often forced to move away and, hence, find new pastures. Rather frequently, they invaded areas already settled with their herds, they conquered these areas, or they were simply driven back. The steppe, then, became the new habitat of a nomad culture. These people had their origin in these steppes, and over time, there were initiated several new waves of migration. Initially they moved towards the East, then towards the South, and finally towards the West, as far as Europe. These peoples had their focus on the horse and the supply of the herds as well as the family clans accompanying them. Their war technique consisted of riding archers then dominating this steppe area. 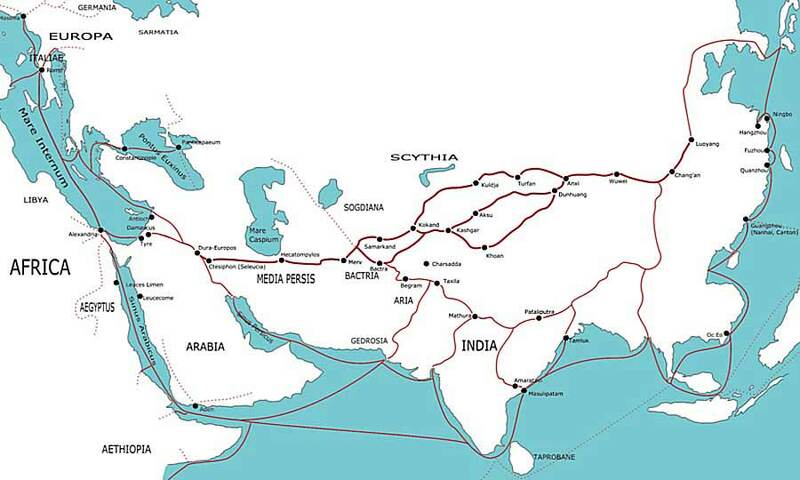 Later on, also the Silk Road, reviving the exchange of goods between the East and the West, became an important lifeline for nomads as well as those preferring to settle down along this route. The camel became an important means of transport in caravans. In the beginning, the nomadic shepherds followed their herds with covered wagons (for example, the Scythians), only later the round tent (Russian yurte, Mongolian ger) gained importance; it is still used in the Central Asian area. The woman was the ruler of the yurte, and she was responsible for the children's education; the women were also skilled in handicrafts like knotting carpets, fulling felt and embroidering traditional costumes. The men were responsible for the herds and went hunting. At this time, riding contests and games were rather popular, for example wrestling on horses, team events on horses with the fur of a goat, or the game "Catch the girl"; there were also contests like duels and wrestling. In the first millenium before Christ, the breeding of horses was even more dominating and prevailing than the breeding of cattle and keeping of small animals. This characteristic also forms the basis for their historical role as mobile horsemen: migrating tribes, so-called nomads, sustainably influenced the areas of China, Central Asia, the Middle East and Eastern Europe. Between 1000 before Christ and 1500 after Christ, many regions were remarkably dominated by pillaging and cruzades performed by these nomadic armies. Such tribes elected their leaders. These leaders had to be descendants of members of the ruling family, and the tribes frequently assumed their names (for example, Khan Oghuz  Oghuz), or they assumed a name in accordance with their geographical origin (Toguz Oghuz  dark=Northern-Oghuz, Gök=blue/West Western Turks). 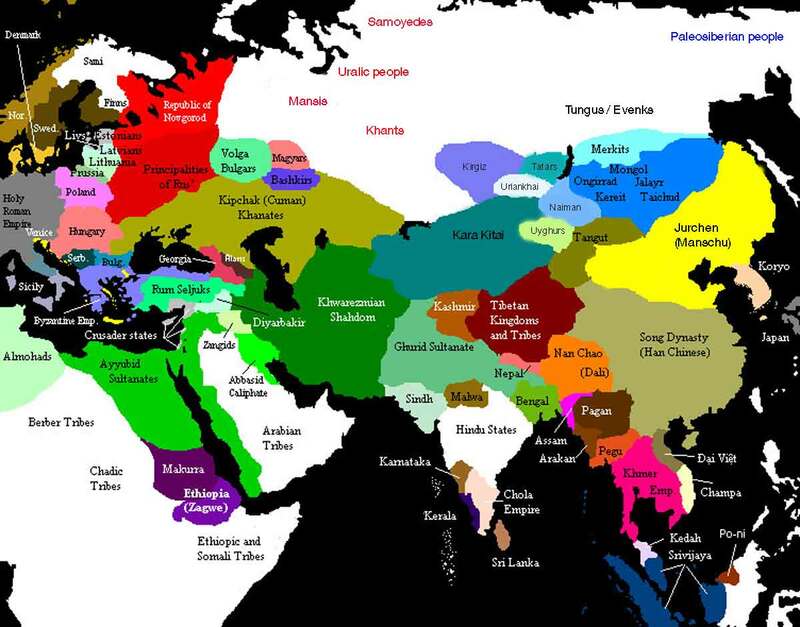 These mixed "Turk-Mongolian" tribes lived in loose structures, which had settled in the Mongolian Altai area (Central Asia) and were of different origins. They were polyglott and frequently mixed with the resident population or with seminomads. They cultured Alpine cattle breeding, meaning they moved up to higher pastures in summer. Tribes which had immigrated from the East-Iranian Highlands initially gained the upper hand, and ruled and dominated the tribes already settled and established there. Again there took place invasions of tribes from the Siberian area over the Altai into today's Mongolia in the direction of China. Tribes were turned into vassals, meaning they were tributary; others dissolved or were expulsed, this leading to new waves of migration. This situation resulted in turmoils for supremacy, with some tribal structures, however, maintaining their position for a longer period of time and, hence, gaining influence. There were a lot of mass migrations: the Indo-Germanic Dorians migrated to Greece, the, Chaldeans migrated to Mesopotamia, the Medes and Persians to today's Iran, the Aryans (Indo-Iranians) in the direction of India, the Phrygians, the Mysians and Bithynians moved to Asia Mintor, and, finally, the Aramaeans, a Levantine group of people, invaded the Syrian area. Already at this time, horsemen were used in battles. They further on developed into offensive equestrian warriors. Indo-European tribes lined up as equestrian nomads, such as, for example, the Cimmerians, Scythians and Sarmatians. These constituted the early riding warriors of our history; they are related with the East-Iranian tribes, which have once wandered towards the East into Central Asia and were then pushed back to the South of Russia and Eastern Europe. Since the 8th century, they also moved south crossing the Caucasian mountains, and they tried to occupy the territory of the then Assyrians and Uartians. Subsequently there were invasions by tribes of Turk people, having their origin with the people of the Tu-küe or Tü-küt (Turk) speaking. Old Turkic and originally settling in the area between the Mongolian Altai, the Eastern Tienshan, Tibet and the North-Eastern part of the Hinggang Mountains (Northeast of today's Inner Mongolia). After the collapse of the Ruanruan (Juan-Juan) there was established their first bigger tribal structure, the realm of the Gök-Turks. They once ruled from Dzungaria (Sinkiang  Xingiang) up to Transoxania (Amudaria  Aral Sea). The Old Turkic language has to be seen rather as a mixture of different dialects, which may be divided into the Kypchak, the Oghuz language, and the dialect of the Southern Siberian tribes of the Oirat, Abakan and the Tuva at the Sayan, as well as the dialect of the Eastern Siberian Yakuts who called themselves Saha. Their first written document may be found in Old-Turkic scriptures at the Upper Jenissey, at the Talas and in the Orchon scriptures of the Altai-Turks (732 and 735 after Christ). The Mongols under Genghis Khan and his sons led the last and devastating storm of conquest raiding Europe. 200 before Christ and was widely spread in the wide area from Transbaikalia (area Chita, behind the Lake Baikal) up to Central Mongolia. It was the culture assuming the role the slab grave culture of the Bronze Age and Early Iron Age. 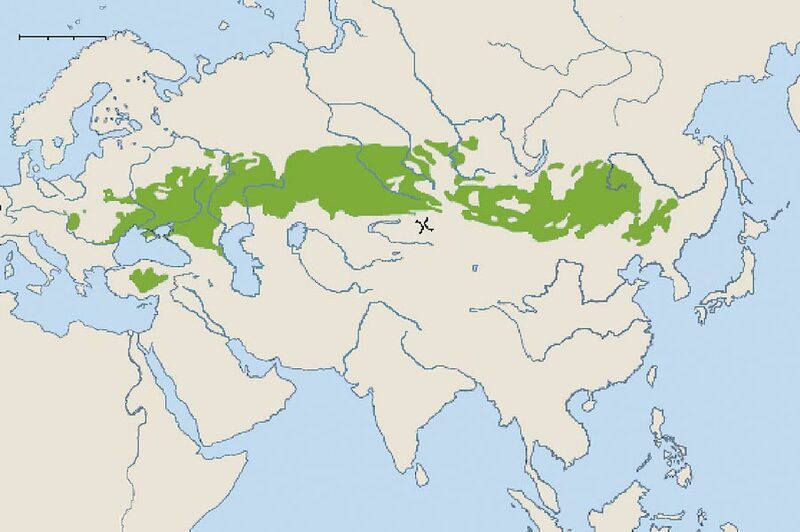 The population had, as bone excavations show, Europidian as well as Mongolian elements. Important excavation sites are the settlement of Ivolginskoje Gorodishche at the Selenga and Noin Ula in Mongolia. The objects found also mirror the relations established to China as well as at the upper course of the Jennissey, up to the Tes terrace and the Tashyk culture. Ceramic objects were already produced by means of the potter's wheel, and showed a rather uniform appearance all over the quite enormous area of distribution. The ceramic objects had straight striped pattern, carved-in bands and various striped patterns as ornaments. They had a rather well developed arming, especially compound archs and iron-made scale armours. Apart from arms, also various daily goods such as tools, harness as well as traditional jewellery were made from iron. Jewellery also includes belt buckles and belt plates with decorative images and strap ends. The area of the Scythians found its end with the migrations of the Hsiung-nu from Mongolia, and this was the beginning of the Khanats being more and more dominated by the Turks, which were, finally, taken over by the Mongolian princes. These nomadic or semi-nomadic peoples, however, did not exert more than a simple supremacy. These, however, were only a tiny part of the people settling in the steppes of the Siberian area. There were also to be found Finno-Ugric peoples (Khanty, Mansi), Samoyed peoples (Nganasans and Nenets) as well as Manchurian-Tungusic peoples (Evans and Evenks). The Jurchen people, controlling the Northern part of China and later on called Manchurians, are probably descendants of Tungusic peoples. 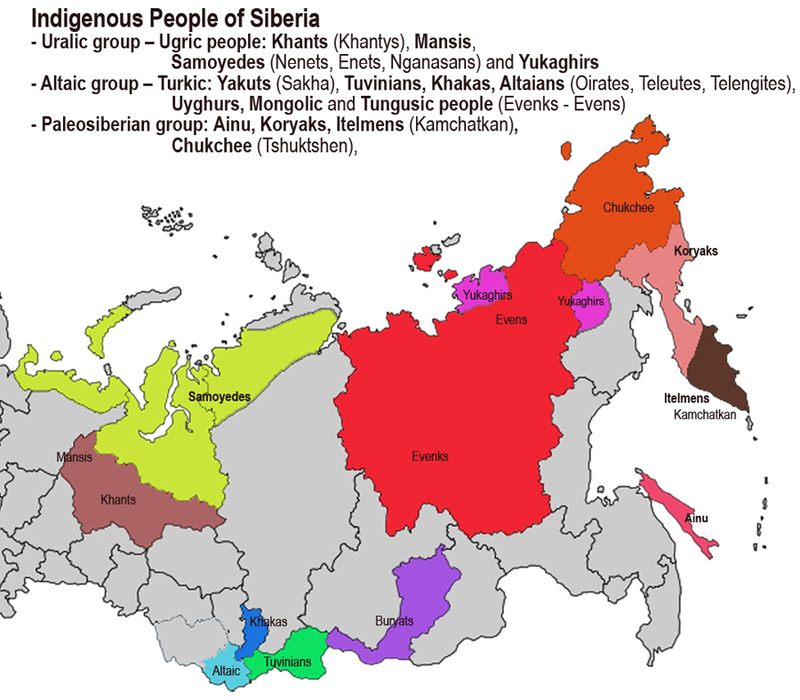 The Paleo-Sibirian peoples (Kets, Yenisei-Khanty, Koryaks, Ainu, Itelmens, Chukchi, Yukaghir and further in the Far East) add up to the vast diversity of people settling there. The Kirgiz may serve as an example for the cultural-economic status they maintained in Southern Siberia: very early they already mined iron and gold and processed these materials into jewellery and arms; they had their own runic characters "Yenisei" (see more under old Turkic script "Orkhon Runes"), and apart from cattle breeding they also indulged in the cultivation of land (wheat, millet), they also developed concepts for drainage and road construction. They supposedly also established several towns (Abakan, Kemidjkat) which may held some truth in the face of ruins of towns with Buddhist cult sites and graveyards in Tannu-Tuva (12th / 13th century after Christ). First contacts of the Rus (Varangians form the area of today's Sweden) to Siberia go back to the golden age of the Novgorod Republic in the 11th century after Christ. Individual hunter tribes were vassals of the Russian and later of Mongolian rulers. After the collapse of the Golden Horde around 1500, Russian conquerors, tradesmen and colonizers took their chance and invaded Siberia. In the middle of the 16th century, Russian Cossacks and tradespeople pushed nto the huge and un-developed area, founded first Russian settlements and established trade, especially with furs and noble metals. - 2nd century before Christ up to 13th century after Christ. - 18th to 6th century before Christ.  17th and 18th centuries A.C.
- 3rd century before Christ to 3rd century after Christ.